At Power Rogers & Smith, L.L.P., when we take on a case, we give it every ounce of our efforts. With our full passion and focus behind the cases we handle, our clients benefit from having an aggressive and skillful advocate from Chicago in their corner. 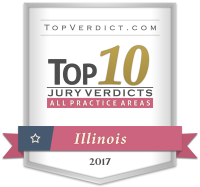 Birth injury cases in Illinois are among the most tragic and complex we handle, but we do it well. These cases deserve attorneys who are experienced not only in the courtroom but with the nuances of proper medical procedure. By choosing our team of skilled litigators, you’ll have a team of experienced professionals on your side who have recovered more than $4 billion for the injured. Contact Power Rogers & Smith, L.L.P. now to learn more. $35 Million in a birth injury case where the patient suffered brain damage because of delayed delivery, causing the child to suffer from seizures, cerebral palsy, and spastic quadriplegia. $23 Million in a birth injury case involving failure to treat high blood pressure caused by brain damage to the mother. $21.175 Million in a birth injury case where the doctors failed to detect abnormal blood pressure and delayed cesarean section. The expectant mother died and her son sustained permanent brain damage. Approximately seven out of every 1,000 children born in the United States suffer a birth injury. A birth injury refers to an injury that occurs during labor or delivery. A birth defect, on the other hand, describes a malformation or disability that is the result of genetics or some environmental influence. For example, some prescription drugs have been known to cause birth defects when taken by pregnant mothers. Doctors and other healthcare professionals should be able to use imaging technology and other tests to determine the health of the baby (i.e. whether or not there are any birth defects or abnormalities) before delivery. Failing to run the proper tests and adequately provide care to a mother and her growing child can constitute negligence. Compensation for birth injuries can come in many forms. If your child sustained brain damage during delivery, for example, and suffered cerebral palsy as a result, you could seek compensation to cover the costs of ongoing medical care, in-home care providers, loss of future earning capacity, and more. Babies born with defects or who sustain serious injuries during delivery suffer physical damage that often requires a larger financial commitment than what is required for a healthy baby. Birth injury verdicts can be calculated by adding the value of medical expenses, disfigurement, disability, loss of normal life, pain and suffering, time/earnings/profits/salaries/benefits lost, and risk of future harm. The sum is called the “total damages,” which is then multiplied by the percentage of likelihood that a future condition or harm will occur to arrive at the finalized total damages. When calculating damages in a birth injury claim, the value can be diminished by shortened life expectancy. Call Our Chicago Birth Injury Attorneys Today! Birth injury and birth trauma cases carry a lasting impact. Many mothers give birth to children who have permanent disabilities and are left without the financial resources to accommodate the level of care their children need. Many husbands lose their wives because of tragic medical missteps during labor. Whatever happened in your case, the Chicago birth injury attorneys at Power, Rogers & Smith, L.L.P. are available to assess your case and determine the necessary legal recourse. Call Power Rogers & Smith, L.L.P. at (312) 313-0202 for a free case review.